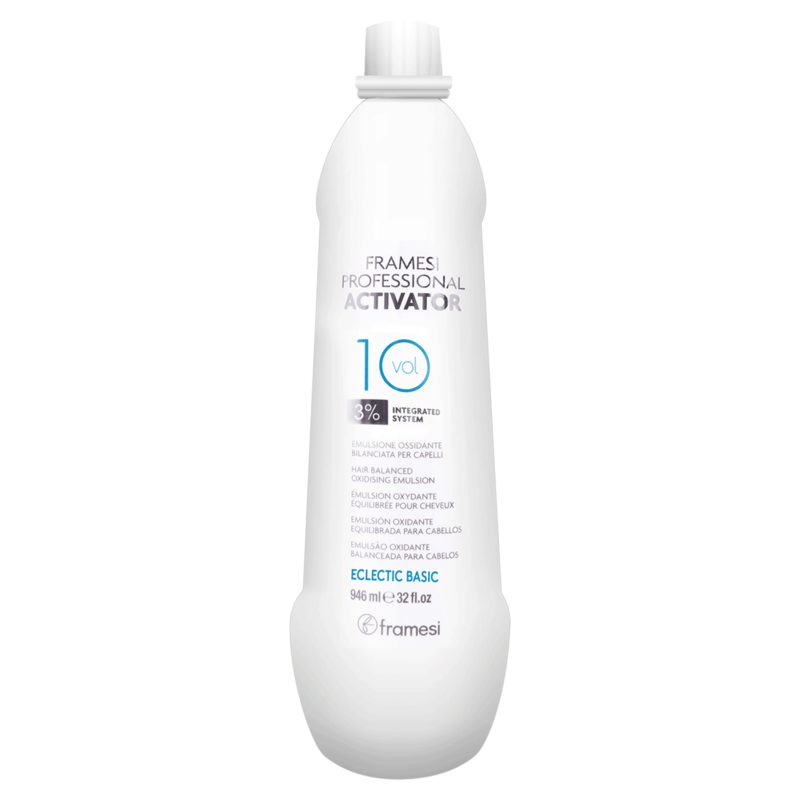 Framesi Professional Activator 10 Volume - Not All Developers are Created Equal! Rich, liquid-cream developer features an Integrated System of ingredients and technologies that, when mixed with framesi haircolor, allow the color molecules to penetrate deeper into the cortex for a more perfect and gentle color service with moisture, condition, protection and a longevity unlike ever achieved before. Framesi developers are made to go hand-in-hand with Framesi haircolor and lighteners. Framesi uses quality ingredients such as vegetable coconut oil and conditioning agents which help to create incredible shine, condition, protection and longevity.